I’m going to let you in on a secret - Arclight was not the book I intended to write. The book I intended to write was about vampires, which have been a favorite subject of mine since I was a kid and read Bunnicula. (<-- Feel free to laugh at this; I don’t mind.) Unfortunately, I finished my vampire novel around the time that the wave caused by Twilight was cresting, and while the book did get some interest, I didn’t want to be “just another” vampire story in a sea of them. So the vampires went back in the coffin. ZOMBIES! I thought. I’ve not seen a big zombie book in a while. I decided to turn my vampires into zombies and retool the rest of the book to fit, but I finished that version about the time that an awesome novel called The Forest of Hands and Teeth was becoming popular. I didn’t even bother to send mine out. At this point, finishing a book that wasn’t “on-trend” had become a matter of principle. I dragged out old notes, half-finished books that had never seen the light of day, scraps of former fanfictions, things I’d saved to floppy disk, scribbles, doodles, anything and everything I could find that I’d ever written on or about. (At this point, I had to pause and go buy a floppy drive, because really… floppy disks. Surprisingly, they still worked.) I started cutting and pasting all of these old things into a Franken-novel. Most of what became Arclight came from my file of screenplays that I wrote in high school. I grabbed some characters from the vampire novel, and some scenes from the zombie one, and did the worst cut-and-paste job you could ever imagine. The Fade underwent a *major* change from their original appearance, which was closer to a manic swarm of space-fireflies than what you’ll see in the novel. Almost the entire cast of characters turned into teenagers. It was a strange experience. Once things started clicking into place, the changes got easier. All of those bits and pieces that hadn’t worked in their original stories, suddenly did when they were put together. There was nothing wrong with them; they simply hadn’t been in the right place, and that’s my point. Just because something isn’t planned, that doesn’t mean it can’t turn out better than you ever imagined. No, Arclight wasn’t the book I intended to write, but if not for the ones I thought I wanted to write, I never would have had the source material for the book that worked. It’s easy to look at the things that don’t achieve the results we want and call them failures or wastes of time, but each one was a step in the right direction. The discarded novels and unfinished stories weren’t mistakes, and my timing with the vampire novel and the zombies wasn’t as bad as I had feared. Things were just misplaced and out of order. If you’re working toward something, don’t assume you should give up because your route takes an unconventional turn or requires a few more steps than someone else’s did. So what if you travel a different road? You get to see more of the scenery, and at some point, you’ll be happy you did. Bunnicula! OH MY GOD, that was one of my favourite books as a child. It makes me happy just thinking about it. 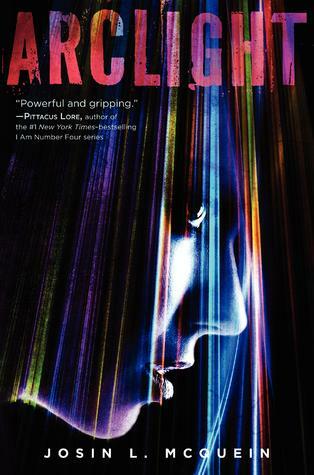 I have a copy of Arclight waiting for me to read, I'm really looking forward to it!